Over the summer I had the chance to travel to a few European countries and there were so many times I wished I could speak the native language—asking directions, understanding recommendations on where to eat, favorite delicacies, and cultural pastimes are just a few. 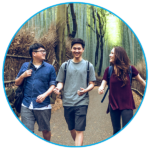 While the English language is widely known and spoken across the globe, learning a foreign language increases your ability to connect with people around the world. Interesting Fact: Did you know if you speak Spanish you can speak with about 420 million people worldwide? If you know Mandarin, you can converse with more than a billion people! The ability to speak a second language will set you apart when it comes to life after school. Knowing a second (or third, or fourth) language opens a ton of career opportunities. The workforce and the way we do business is global and diverse and being bilingual can broaden career options. Many jobs in education, healthcare, national security, tourism, and international business require (or favor) workers who are bilingual and knowing a second language can result in higher pay and more job opportunities. 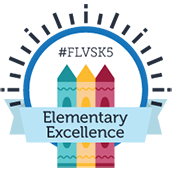 At FLVS, students can take varying levels of Latin, Chinese, French, and Spanish. 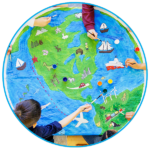 This year, FLVS launched Spanish 4 Honors, a course for high school students in grades 9-12. 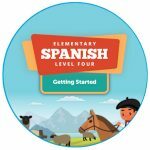 With online Spanish courses for elementary, middle, and high school students now available, FLVS students can learn Spanish across Kindergarten through 12th grade—and can qualify for the Florida Seal of Biliteracy Program. 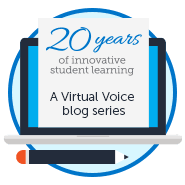 Learn more about our FLVS language courses! Explore our course options. 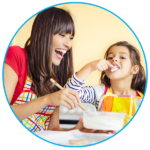 This entry was posted in Full Time Edition, Homeschool Edition, Parent Edition, Student Edition and tagged Benefits of Learning a Language, Elementary Spanish, Free Language Courses, Free Online Spanish Classes, K-12, Learning a Language Online, Online Spanish, Spanish Online on October 2, 2018 by Suzan Kurdak. I, like you, wish that I paid more attention in H.S. in the late eighties and continued learning spanish and french in college in New York. Fast forward 20+yrs, five children later, and residing in an wonderful and diverse spanish speaking community in Tampa, fl. I would like to know if there are resources for parents like me who would like to learn another language in order to feel connected to the community and people around me. Also, be able to communicate with my children who speak the languages now. Hi Nicole, what a great question! I learned about Duolingo, which is free, and offers many different languages at https://www.duolingo.com. I’ve personally not tried it, but you’ve inspired me to look into it. “We’re never too old” right? Question if my child is taking Spanish I for Speakers in grade 10 what would be the next Flvs spanish course that is available? I do not see an option for Spanish II for speakers. Hi there! Most Spanish speakers will move to Spanish III Honors. They could also take Spanish II, but may find it too easy. Hope this helps!